The Robobusters, Team 5057, has competed in the FIRST Robotics Competition since 2014. They have over 50 members and are sponsored by Dr. Strong in TAG .Though the majority of members are from SEM, Team 5057 has students from all six schools in Townview Magnet Center. The team is split into four divisions: Build, Programming, CAD, Business. This past Wednesday, the Robobusters were invited to present their team and its accomplishments to Ambit Energy. 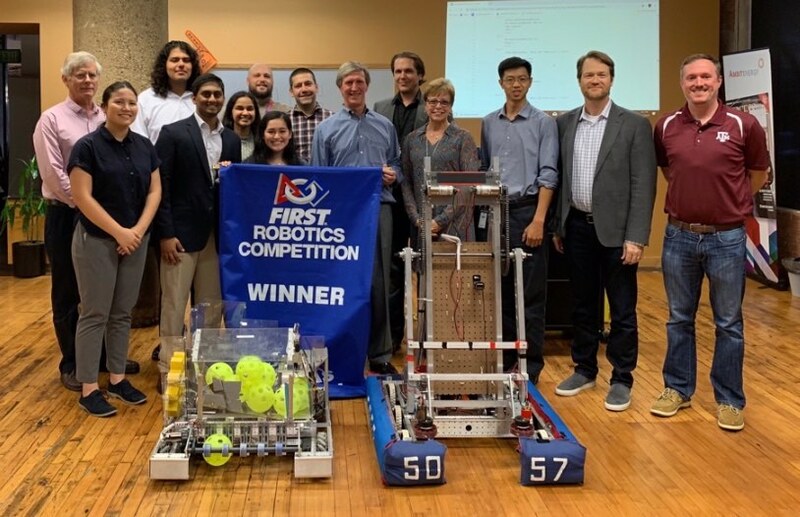 Ambit has graciously given a grant of $3000 to help further Team 5057’s goal of improving both the Oak Cliff and Townview community through robotics. Ambit provided several mentors so members can learn STEM from a professional standpoint and improve both their own and the team’s abilities. The Robobusters thank Ambit for this opportunity and are excited about what is to come. Note: If you are interested in joining, come to room 306 after school on Wednesday or text @robobuster to 81010 to join the remind.